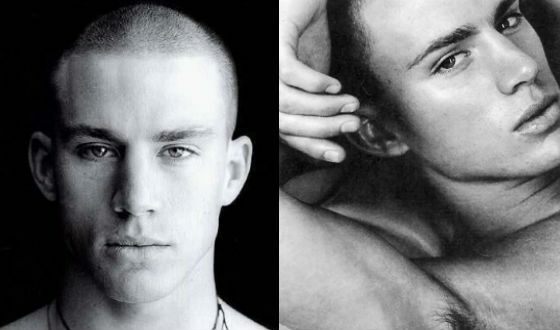 Unlike Freddie Ljungberg, Channing Tatum doesn't have noticeable cheekbones. Yet he was a runway model. Are cheekbones important? Why do you think these are prominent. You can see them because he's very low bf% here, but they seem much less prominent than Ljungberg's. (10-11-2018, 08:13 AM)proud_baldcel Wrote: Why do you think these are prominent. You can see them because he's very low bf% here, but they seem much less prominent than Ljungberg's. They still protrude past his eyeball in 3/4 view. Is that the definition of good cheekbones? I'd like to see a 3/4 view of a white guy whose cheekbones protrude less relative to the eyeballs. Srs. I don't see how it's anatomically possible. (10-11-2018, 08:21 AM)AJALKKA86 Wrote: They still protrude past his eyeball in 3/4 view. Not a white guy but I hope you get the point. (10-11-2018, 08:27 AM)proud_baldcel Wrote: Is that the definition of good cheekbones? I'd like to see a 3/4 view of a white guy whose cheekbones protrude less relative to the eyeballs. Srs. I don't see how it's anatomically possible. I think we need a profile view to evaluate the cheekbones. Wide cheekbones like in your avatar aren't a plus at all.